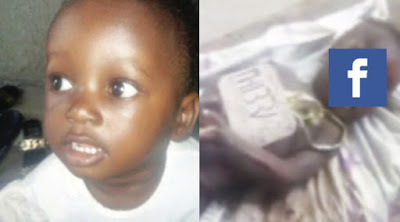 The morticians at the University of Port Harcourt Teaching Hospital (UPTH) were accused of removing the eyes of a dead child, an 18-month-old twin named Chuma, who died of anemia on August 3, 2018, at the hospital infirmary. The father of the dead child, who had returned to the morgue two weeks later, was horrified to find that the body they brought him was mutilated and the UPTH coroners could not explain how, when, or why the corpse Parts were missing. "Even when the baby was still breathing, one of the sisters came up to me and asked me to pay N30,000 to bury the baby somewhere, which annoyed me so that from that moment on they became nonchalant, claiming they would wait for the blood test until the child dies. " It was reported that the couple traveled to Ughelli, where their families had encouraged them to bring the body home for the funeral. "I went to the mortuary on September 17 to pay the bill and get the body," the desperate father continued. "I had N20, 000 with me, but after I took the money, the guard told me that my bill was N 56 000. I asked to see my baby's body, but to my surprise, both eyes been removed when he gave birth to the baby's body. " According to the father of the dead child, he was prevented from taking pictures of the body.